The more I read the more books I add to my to-read list. Here are the top ten releases from 2014 that I really really meant to read, but haven’t found time for yet. I’d love to hear your opinions of these books and/or what 2014 books you are hoping to read soon in the comments! Big thanks to The Broke and the Bookish for hosting this weekly book meme! 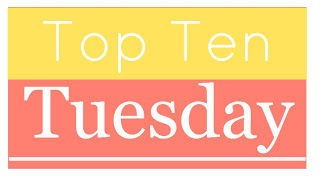 This entry was posted in top ten tuesday and tagged books, Top Ten Tuesday, YA Books by Alison Doherty. Bookmark the permalink. I own three on this list that I haven’t read. A Little Something Different is cute, but not earth-shattering amazing. It’s basically an ode to shipping. Love Letters to the Dead, I’ve heard is good from close friends so… maybe that one is worth a shot? Great List! Thanks for your advice! I just got Love Letters to the Dead out of the library so I’m excited to hear a recommendation for that one! I couldn’t decide between 100 Sideways Miles or Grasshopper Jungle by Andrew Smith – they both sound really good. I picked 100 Sideways Miles because I already own it. Love Letters to the Dead and Since You’ve Been Gone are both GREAT. Hope you get to read them soon! Oh fantastic. I just got Love Letters to the Dead out from the library. So that will be read shortly. I had the same thoughts on 100 Sideways Miles and Grasshopper Jungle, but I heard David Levithan refer to Grasshopper Jungle as a best of 2014 so I thought I better get to that one first. Yay! Looking forward to hearing what you think about Love Letters. Oh, really? That’s awesome! I hope to read both of those this year anyway. Thank you! Will definitely check your list out! Glad to hear you liked A Little Something Different. It looks so cute to me! Dorothy Must Die was interesting. I am now awaiting book two. I hope you enjoy it when you get the chance to read it.